4.5 linear ft in 7 boxes (five document boxes, two photograph album boxes) and mixed slide and A/V collection storage. The documents the activities of the club dedicated to the sporting breed, chiefly dating back to 1990. National Specialty show items include catalogs, premium lists, judges’ slips, and photograph albums. Club documents and photographs include policies and a description of the club, as well as slide images of Labradors unrelated to shows. Club publications include informational pamphlets, club newsletters, books, and annual club yearbooks from 1994 to 2014. 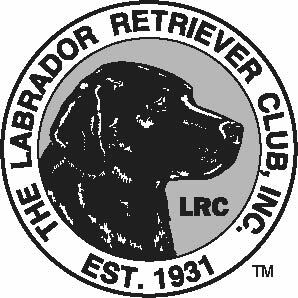 The Labrador Retriever Club, Inc. is the AKC recognized national parent club of the Labrador Retriever, dedicated to preserving the integrity of the breed. The club was incorporated in October 1931 in New York by Franklin B. Lord and other sportsmen. The Club held its first National Specialty show in May 1933 in New York City, where judge Mrs. Marshall Field awarded Best in Show to Boli of Blake, owned by Mr. Lord. In November of the same year, Boli of Blake became the first American Champion Labrador. The LRC sponsors an annual National Specialty event week in October, including a specialty show, obedience and agility competitions, retrieving tests and educational seminars. The club also hosts two hunting retriever tests and two field trials every year. The LRC publishes a quarterly newsletter, annual yearbook, and educational materials, as well as a Breeders Directory on its website, www.thelabradorclub.com. The Labrador Retriever Club Collection includes materials from the breed’s National Specialty dog shows, club documents and photographs, and club publications. National Specialty items include catalogs, premium lists, judges’ slips, and photograph albums. Club documents and photographs include policies and a description of the club, as well as slide images of Labradors unrelated to shows. Finally, club publications includes informational pamphlets, club newsletters, books, and annual club yearbooks from 1994 to 2014. Marianne Foote, a club director, gathered and sent materials to the AKC Archives on January 20, 2007. Deed of Gift Agreement signed by Nelson Sills, President of the Labrador Retriever Club, Inc., on April 20, 2009.